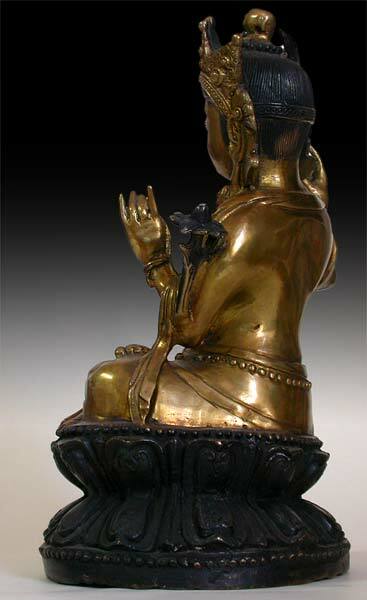 The name Manjushri's in Japanese is Monju; in Chinese, Wen Chu. 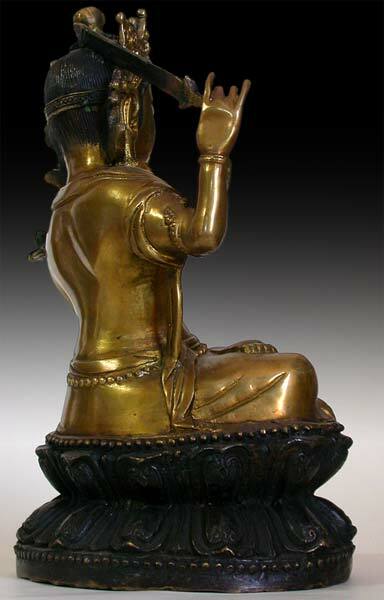 He is regarded as the Bodhisattva of Wisdom, and the God of Literature in China. 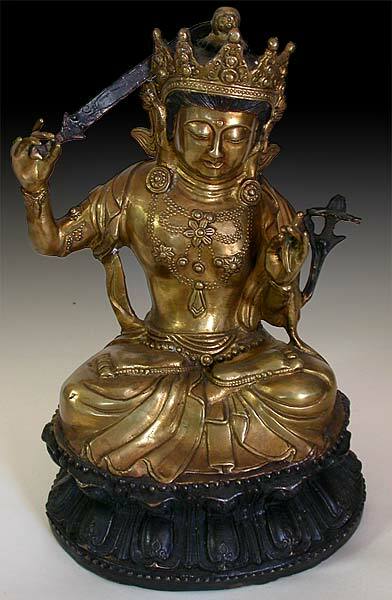 As depicted in this bronze statue of Manjushri seated in a diamond position, holding the double edged sword. 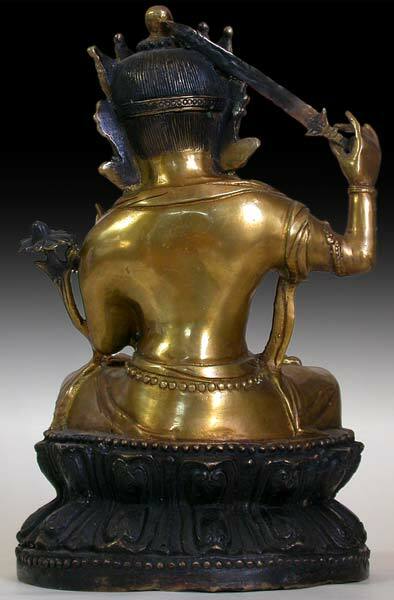 Which is a prototype in accordance with centuries old Tibetan Buddhist traditions. 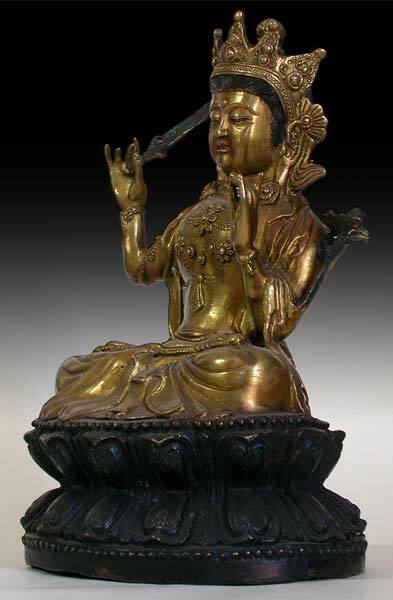 Although stylistically the bodhisattva's bold face and vigorous body, his extended eyebrows and slanted eyes are distinctively Chinese origin. In addition, the unusual style of the crown, the curvi-linear drapery folds, and the circular base which sits the double lotus are indication of a style produced in late 19th century Qing Dynasty. 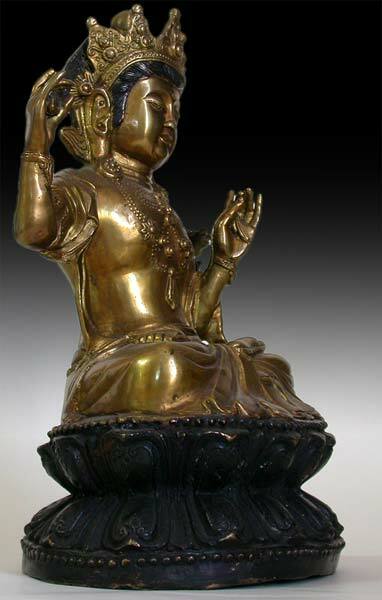 The statue is immaculately casted with a highly polished finishing, which accentuated the deep yellow bronze with a strong radiance.